PBS will offer its first 24/7 free streaming service, a children’s multicast channel, starting later this year. Content will air on a digital channel as well as a live stream on pbskids.org and the PBS Kids Video App, already available on over-the-top platforms including Roku, Apple TV, Xbox One and Chromecast. The streaming service will automatically localize to member stations, PBS said. Station carriage for the streaming multicast will be optional. Another innovation will come soon after launch: embedded interactive games to allow kids to switch between a program and a related activity to deepen their learning experience. The live stream and related games feature “is grounded in research demonstrating that measurable gains in learning are achieved when children engage with PBS Kids content on multiple platforms,” PBS said in its Tuesday announcement. That idea may be breaking new ground. “We don’t believe anybody else is doing this work,” said Paula Kerger, PBS president, in an interview with Current. The ambitious initiative comes partly in response to research that shows a demand for children’s programming when main channels aren’t offering it, such as early evenings when parents are making dinner. While the PBS Kids broadcast block currently airs from 6 a.m. through early afternoon, Nielsen data indicates that kids actually watch the most TV on weeknights and weekend afternoons and evenings — especially in low-income families, which are more likely to use over-the-air television. “Given that 54 percent of all children nationwide do not have the opportunity to attend preschool, providing access is a critical element of our public service mission,” Kerger said in the release. Kerger initially laid out the plans Monday evening at the Association of Public Television Stations’ annual Public Media Summit in Washington, D.C. But many details have yet to be worked out. The channel’s schedule is still being developed. Discussions with content producers are ongoing. Also, the Station Services Committee of the PBS Board will take up overlap-market issues. In an FAQ sent to stations Monday, PBS addressed another issue: The new channel does not change the requirement that stations air a minimum of seven hours of PBS Kids programming each day, part of the member station agreement. The idea for a round-the-clock kids channel actually dates back several years, to when PBS divested itself of PBS Kids Sprout. That cable network, a 2005 partnership with HIT Entertainment and Sesame Workshop, was acquired by NBCUniversal in 2013 and now airs as the commercial Sprout. The work kicked into higher gear over the past year, as PBS began “digging deeper into the whole area of education and service to classrooms and families,” Kerger said. That also informed PBS’s recent restructuring to sharpen its focus on education. “Part of what we want to accomplish with that reorganization is to be an even better service to younger kids,” she said. The new kids’ channel provides stations with yet another option for digital multicast. That decision could prove tricky as executives ponder relinquishing spectrum for cash in the upcoming FCC spectrum auction. The two highest-rated public TV multicasts are Create, a lifestyle channel, and World, featuring public affairs and news, which have a combined annual viewership of 82 million. Both are distributed by American Public Television from partners WGBH and WNET in association with the National Educational Telecommunications Association and PBS. APT President Cynthia Fenneman thinks those two multicasts along with PBS’s new kids channel would make “a great trifecta” for stations. Numbers vary on how many public TV stations offer children’s programming on multicast. According to TRAC Media Service, the public broadcasting research firm, around 50 stations provide a multicast channel that offers at least 50 percent children’s content. PBS said 19 licensees offer children’s multicast channels. And APT’s data shows 16 licensees with 24-hour local kids’ channels, and five with channels airing that content from 6 a.m. to 9 p.m.
Stations also present other options. Idaho Public Television programs a kids’ channel that isn’t broadcast but is carried by cable systems in the state. Idaho PTV runs its main HD channel and four digital channels: Plus, a variety multicast; World; and a combo channel with 12 hours each of Create and Learn (educational content) that is pre-empted for state legislature coverage. Ron Pisaneschi, g.m., supports the PBS Kids multicast channel idea. 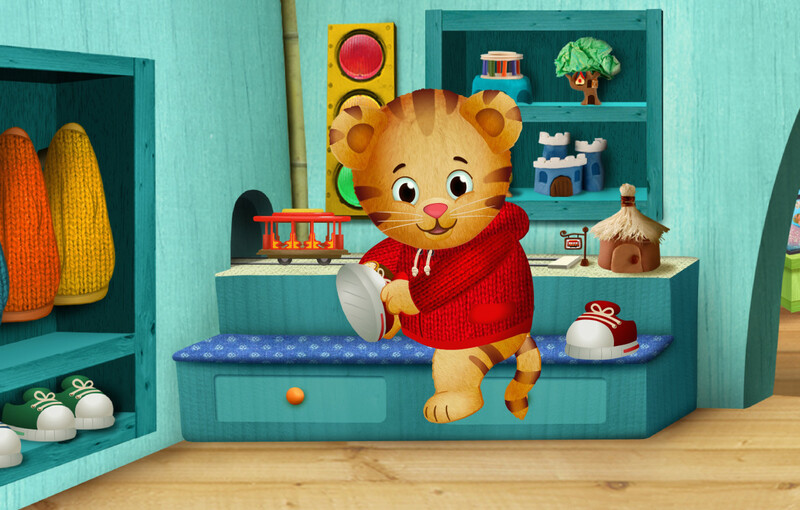 “If any PBS service is ubiquitous, it should be kids’ content,” he said. But Pisaneschi doesn’t know yet whether the station will carry this new channel. “Probably not initially,” he said. “To add it as a fifth multicast, we would have to buy new encoders.” Pisaneschi has already discussed those prices with his engineers. OETA–Oklahoma PBS has programmed its own children’s multicast channel “for years,” Executive Director Dan Schiedel said, “and we are really excited about the plans for PBS to create one as well.” He’s especially pleased about the streaming and interactive games. “We are always looking for better ways to serve and connect with our diverse audiences, and we believe this will help us and many PBS stations do just that,” Schiedel said, adding that the station will decide “the best course of action” once PBS rolls out the channel. That’s WHRO President Bert Schmidt’s approach as well. The Norfolk, Va., station has programmed a popular 24/7 kids channel for years. “I’m pleased a channel like that will now be an option for stations around the country,” Schmidt said. WHRO will weigh its local programming against PBS’s additional assets and interactive component. “No decision yet, but we’ll be focused on the best way to serve our region,” he said. Detroit Public Television is taking another approach — it announced its own 24/7 children’s channel in January, a partnership with WKAR-TV at Michigan State University. WKAR will remain a PBS member station but will be revamped to provide more opportunities for educational research and content production with the university. DPTV President Rich Homberg said in an interview that the two projects “will run in parallel,” and he is enthusiastic about both channels. That scenario also creates a valuable opportunity for PBS, according to Craig Reed, executive director of TRAC Media Services. “The fact that you can already find this content on competing children’s websites makes a kid with an iPad in his hand very powerful,” he said. The interactive game feature should roll out later this year, according to PBS. I’d love it if they also brought World and Create into the online streaming system (localized to each member station).